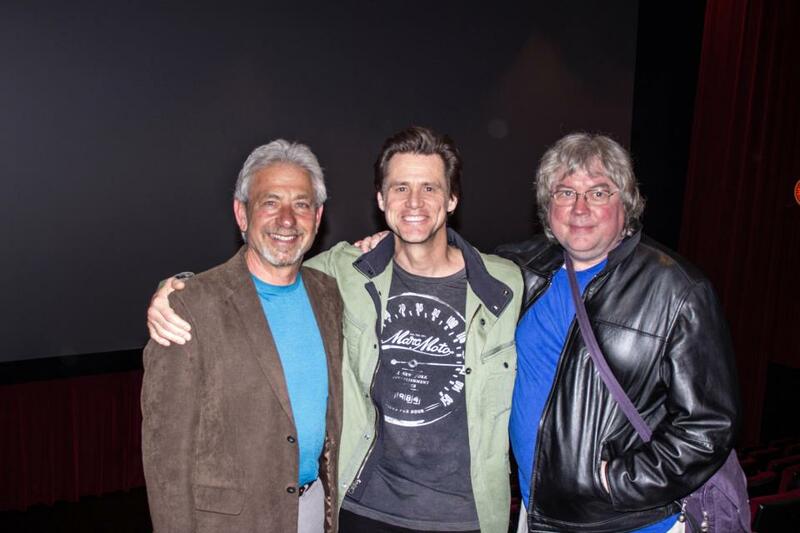 Jim Carrey Online • View topic - Jim Carrey Support "Wings Of Life"
Jim Carrey Support "Wings Of Life"
In the beginning of April GATE co-founder Jim Carrey and GATE founder John Raatz attended the screening of Disneynatures new documentary "Wings Of Life," directed by GATE supporter Louie Schwartzberg and narrated by Meryl Streep. Re: Jim Carrey Support "Wings Of Life"
Producer or Voice or Actor ? Veysel wrote: Producer or Voice or Actor ? He just came to support the movie made by Louie Schwartzberg and narrated by Meryl Streep. It was in celebration of Earth Day the movie was released that day. Came with the co-founder of his charitable organization GATE (Global Alliance for Transformational Entertainment). TNPihl wrote: He just came to support the movie made by Louie Schwartzberg and narrated by Meryl Streep. It was in celebration of Earth Day the movie was released that day. Came with the co-founder of his charitable organization GATE (Global Alliance for Transformational Entertainment). TNPihl wrote: In the beginning of April GATE co-founder Jim Carrey and GATE founder John Raatz attended the screening of Disneynatures new documentary "Wings Of Life," directed by GATE supporter Louie Schwartzberg and narrated by Meryl Streep.